Photo Gallery - Old Dominion Draft Horse & Mule Association, Inc. 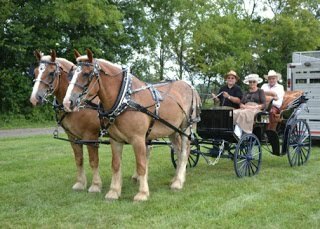 Welcome to the Old Dominion Draft Horse and Mule Association Photo Gallery. The club posts photos from all club sponsored events, as well as photos submitted by members using their draft animals for work or play around the farm or at public events. 2012 was an active year for the ODDHMA Teamsters! Please check back for new additions throughout 2014!